A few months ago, someone close to me with pretty good computer knowledge, had their computer hacked. Someone took control of their computer when they weren't using it and went to their frequent websites like Amazon.com, Gmail, Paypal, ect, and were able to log in using saved browser passwords. They proceeded to buy instant gift certificates from many sites without a problem. It turned into a headache after the damage was done between his network security and proving it wasn't him who made those transactions. This made me think, what can I do to prevent something like this happening to me? 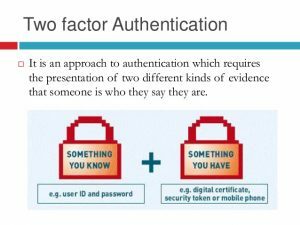 Two-factor authentication is an extra level of security to prevent someone who just knows your password from accessing your accounts. It took like a week to get used to it, but now I expect the text as soon as I log in to certain websites. The world of Internet, communication and business is not as simple as it was a few decades ago. With the intricate methods of money transactions and online shopping, the need of stronger security system to protect your confidential information and money has increased. The two-factor authentication is indeed a smart choice no matter for what purpose you are using it, Amazon or your bank. It is an intelligent move that you won't regret because it’s always better to take precautions than regretting later. It is basically a procedure of adding a second layer of security on your online account to protect it from the hackers. It is a different route for protecting your identity and is indeed different from a typical route of account login. Mostly you are generated a typical username and password of your choice for logging into your account, but this information can be leaked. It is therefore advised to add a two-factor authentication system for your important billing accounts, banking accounts, shopping accounts and other email accounts to make them independent and more reliable. 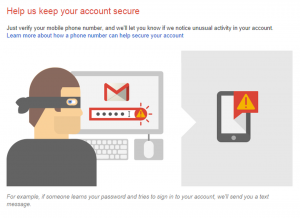 The primary email accounts, on which your potential bank accounts and shopping accounts are registered, can always be hacked and accessed through either answering your security question or another professional hacking way. It is possible that you login to your email account through a public internet connection or use a public computer, when a malicious hacker gets to know about your username and password. This way, the hacker can use internet to know about any Amazon or bank account linked to your email account, and then gain access to them as well. It is a hazardous chain reaction of hacking which is difficult to halt once a hacker gets hold of your email account. The hacker just needs to click “forgot my password.” And then send a password reset link to your email account which he has a hold on. That way, he can successfully reset the password and get control of your account. It is extremely risky and dangerous as by the time you wake up from your deep slumber, your bank account could be washed away by the hacker of every penny. 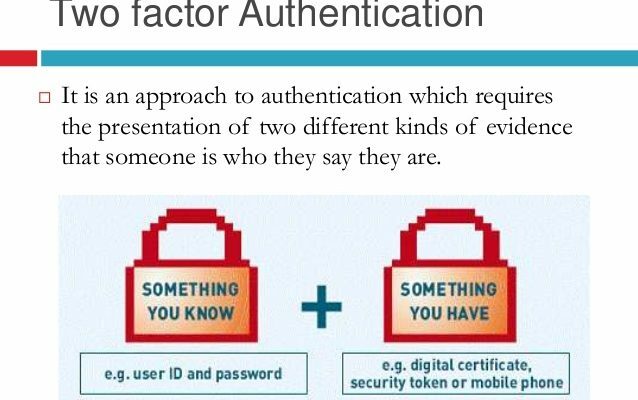 Two-factor authentication relies on a very reliable and secure method. It lets you add a firewall around your account, and depends on something which only you can have access to e.g. your personal cellphone. Normally, in case someone accesses your bank account or Amazon account through an unknown web browser, an SMS alert or security code is sent right away to your phone by which you can be alerted. No one is able to login to your account unless that particular security code is entered. This ensures the protection and security of your account. Many services like Banks and other financial institutions are offering you this protective method to ensure that the prospect of your account being hacked in removed completely. Make sure to switch your all potential accounts to this security method which doesn’t cost you any extra money, and is for your own good! Better safe than sorry!